These clear and smoky crystal drop earrings combine 1940s glamour with Victorian charm. 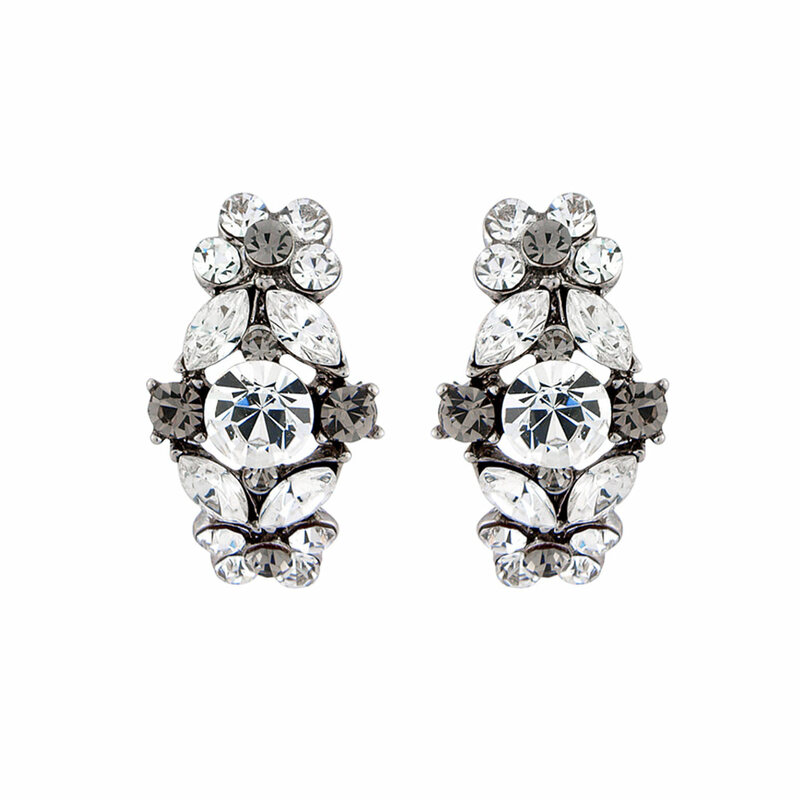 Forever Vintage Earrings effortlessly combine '40s style with a hint of Victorian charm. Featuring a curved design encrusted with clear and smoky Austrian crystals and set on antique style silver tone, they are perfect if you adore the romance of jewellery from bygone eras. With a muted colour palette, these stunning earrings are suitable for all occasions. For dramatic or evening style, coordinate with Forever Vintage Bracelet and Necklace or wear alone for a lunch date with friends. The most exquisite wedding earrings for Brides wearing a vintage wedding gown and who favour bridal jewellery worthy of heirloom status, coordinate Forever Vintage Earrings with a smoky crystal headpiece for striking style. I bought these as a present for a friend, but was so tempted to keep them for myself! Very nice vintage earrings with a great sparkle and also ideal for those ladies who prefer subtle jewellery.